Shred fat on your legs and reveal the striations on your thighs to impress the judges or the girls! There’s the saying that ‘shows are won from the back’, but your legs are equally as important when competing as a bodybuilder. Even if you’re not aiming to step-on-stage, no-one wants flabby legs with no definition when chillin’ on the beach, brah. So we’ve made it our mission to help you cut fat on your legs – so you can really show-off your thighs and hamstrings. Right bro. Let us explain how fat loss works; you have to eat less calories than you burn off throughout the day, in order for your body to start using-up your body fat (to effectively get-rid of it). Can you simply lose fat on your thighs? No, it’s not possible to spot reduce. Now, dependant on your genetics, you might lose more fat from certain areas on your body faster than others. But you can’t do this on purpose. So your best option is to simply aim to lower your overall body fat percentage. That’s right. There’s no shortcut to simply ‘target’ fat loss specifically on your thighs, brah. With that being said, we’ll explain how you can optimize your diet to help you reach your goal. We just mentioned that consuming less calories than your body uses is the key to losing fat. It’s literally a scientific fact that you can’t lose fat without being in a calorific deficit – so don’t ignore this, bro! But you can make your fat burning journey easier by adding thermogenics to your diet; this will help boost your metabolic rate and ensure your hard work results in success. As we just mentioned, following a clean diet containing thermogenics can really boost your chances of losing fat as quickly as possible. It shouldn’t be any surprise to see green tea extract here. The best way to add this to your diet is to supplement it. Why? Because green tea extract contains more concentrated amounts of catechins than normal cups of green tea. And it’s the catechins that are responsible for its thermogenic effects . How many cups of green tea would you need to achieve the same benefits as a few pills of green tea extract? Studies show that you would need around 5-6 per day, which is a lot to drink – especially if you don’t like the taste of green tea. As a result, it’s simply a ‘no-brainer’ (and more cost effective) to consume green tea extract in supplements. We’ve left this pretty broad, because all chili peppers are going to deliver a ‘kick’ to your meals. This is because chili peppers contain high amounts of capsaicin; this is the molecule that’s responsible for the ‘spice’ and thermogenic effects of these chili peppers . For this reason, we also consider supplementing chili pepper extract (that’s high in capsaicin) to be the best option for many people. You’ve probably consumed coffee beans through…you guessed it, coffee. However, you might not have known that coffee beans are more beneficial in their unroasted form (as green coffee beans). Why? Because green coffee beans contain higher amounts of chlorogenic acid, making it a more effective thermogenic nutrient . As you’ve probably guessed, it’s not very good to chew unroasted coffee beans. 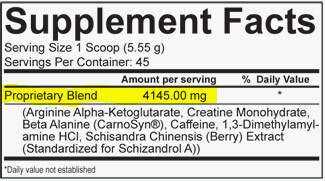 So again, we believe that it’s much more efficient to consume this ingredient through fat burner supplements. You’ll, no doubt, have consumed caffeine in products such as tea and coffee. You’ll also know that it’s capable of raising your energy levels, but you might not have known that it acts as thermogenic. So in effect, caffeine is able to boost your metabolic rate, encouraging your body to burn fat at a faster rate too . 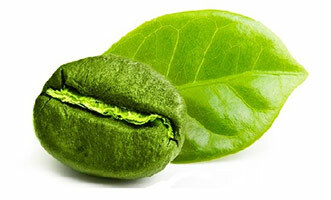 Not only that, when consumed alongside green tea extract, caffeine has shown to significantly promote fat loss . 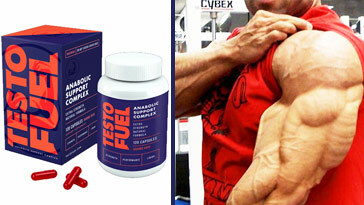 As a result, it’s no wonder why this combo is a staple of high-quality fat burner supplements. We’ve mentioned throughout the above section that fat burners can really make your life easier; they allow you to consume important thermogenics in optimal dosages, saving you time and effort in adding them to your diet. For example, instead of adding chillies to every meal and drinking 6+ cups of green tea per day, you could simply pop a few pills. Not bad ey, bro? Well, it would if it really was easy as that. 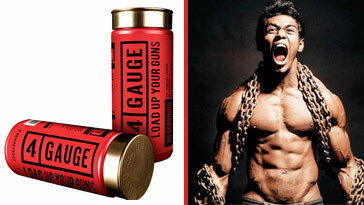 You have to find the right product first, as there are many sh*t fat burners that’ll simply blow a hole in your wallet. But don’t worry, we’ll take you through some things that you need, in order to find a safe and effective product – that’ll help you shred the dream physique you’ve always wanted. Proprietary blends are one of the worst things to happen to the supplements industry (in our honest opinion). We’ll no doubt get CEO’s of supplement companies commenting on how much they hate us by saying this, so don’t take this lightly, brah! Basically, proprietary blends are mixtures of numerous ingredients that are shown to you as 1 overall amount; this means you’re not shown the individual dosages of nutrients inside these blends. Why is this a problem? Because some of these blends contain stimulants, and consuming overloads of stimulants can cause jitters, among other side effects – not what you want. Ultimately, it’s much more beneficial to know the exact dosages of nutrients you consume. This will help keep you safe and also enable you to determine whether a product is good value for money. Just to clear things up, this isn’t us being patriotic to these countries. So why is this important? It’s because all supplements made in the USA or UK are required to fit strict cGMP or FDA regulations – ensuring that they’re safe and high quality. 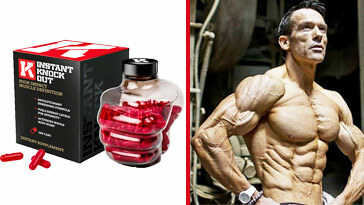 Simply put, if a supplement is being made in other countries, there are no guarantees that someone isn’t just producing their products in their loft or garage. This goes hand-in-hand with the point we made above. When researching supplements that you’re interested in, it’s important to do some research on each nutrient inside them (whether it’s through scientifically-backed sites or expert reviews). Basically, it only takes 1 ‘bad’ ingredient to cause side effects in any supplement. So before you feel like sh*t and end-up with 30 servings of useless sh*t, it’s always best to do your research. We’ll also add that you should avoid fat burners with crazy amounts of stimulants too; we mean products that contain huge dosages of numerous stimulants, as this can cause jitters and crashes. Your workout routine definitely comes secondary to your diet (and supplements to improve it) when aiming to lose fat. However, following an effective workout routine will help you add muscle or tone-up in the right places. So instead of leaving you to find your own training plan, we consulted expert trainers to create one. You might be thinking, ‘why don’t I just do normal back squats?’. Well, this is because back squats place more emphasis on your glutes, but front squats keep the focus on your thighs. 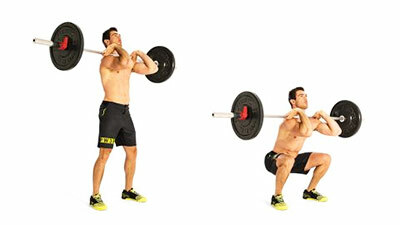 As this is a thigh-orientated workout, we’ve chosen front squats here. So STFU brah. This is another great thigh-focused exercise. It’ll help shred-up your thighs, so we’ll keep the reps high here. After sitting on that leg extension machine, you should have saved enough energy to get moving more…sort of. So pick up some dummbells and get lunging, bro! This is the last exercise in this workout, and by now you should be pretty f*cked up, bro. Push these out and then you can go sit on your couch watching TV or whatever the f*ck you want to do. The main point you should be taking away here, is that your diet is the most important factor when aiming to lose body fat. As a result, taking a fat burner to add thermogenics to your diet is a great option – to boost your metabolism and promote fat loss. If you ensure that you’re burning-off more calories than you consume, then there’s no way that you won’t attain the shredded thighs that you want. That’s a fact, brah. Try following our example workout routine too, or just follow your own if that’s what you want to do. 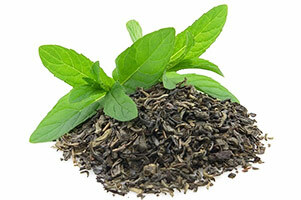 Wang, H. Effects of catechin enriched green tea on body composition. Obesity (Silver Spring). 2010 Apr; 18(4): 773-9. Pilou, J. 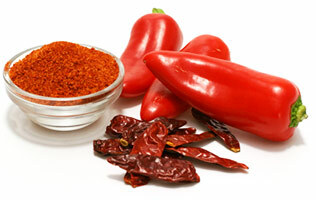 Acute Effects of Capsaicin on Energy Expenditure and Fat Oxidation in Negative Energy Balance. PLoS One. 2013; 8(7): e67786. Onakpoya, I. The Use of Green Coffee Extract as a Weight Loss Supplement: A Systematic Review and Meta-Analysis of Randomised Clinical Trials. Gastroenterol Res Pract. 2011; 2011: 382852. Astrup, A. Caffeine: a double-blind, placebo-controlled study of its thermogenic, metabolic, and cardiovascular effects in healthy volunteers. Am J Clin Nutr. 1990 May; 51(5): 759-67. Abdul, D. Efficacy of a green tea extract rich in catechin polyphenols and caffeine in increasing 24-h energy expenditure and fat oxidation in humans. The Am Jrnl of Clncl Ntr, Vol 70, Iss 6, 1999 Dec; 1040: 1045.